Coding languages go in and out of fashion as new languages emerge and established languages become obsolete. Software developers need to keep up with these trends to remain employable and capable of creating cutting-edge software. So we picked top programming languages 2017 to help you keep on this year’s trends. We’ve used data from the PYPL PopularitY of Programming Language Index which analyzes how often users search language tutorials on Google. The more people want to learn a certain programming language, the greater demand for the language there is. With 22.7% market share, Java leads the index as the most popular programming language in the world. The reason behinds Java’s popularity is simple: Android. Any device that can run a Java virtual machine (JVM) can run all standard, dependency-free Java applications. Developers used to criticize Java for its inferior performance. But things have improved dramatically as the language continued to evolve. Anyone with a solid grasp of the language should find it easy to secure a good job as a software developer. Python is an interpreted language. It has emerged among most commonly used programming languages relatively recently. But it has already replaced Pascal as the most recommended programming language for beginners. Python places emphasis on code readability. It usually takes fewer lines of code to achieve the same result in Python than in other languages. This explains why many programmers use Python for scripting and personal projects. 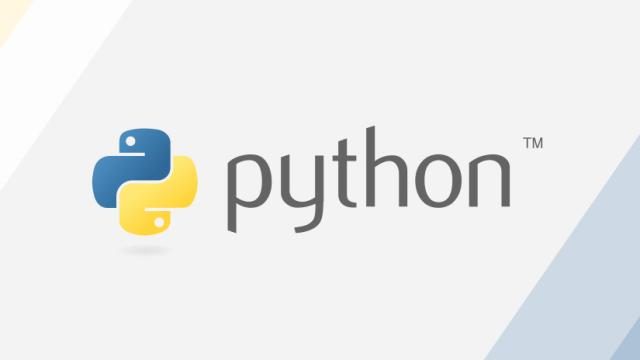 Unlike many other top programming languages, Python is very forgiving and doesn’t take a long time to learn. Anyone can master Python without ever attending a single class or course. There’s a wealth of free learning material on the internet. PHP (Hypertext Pre-Processor) started in 1994 as a set of tools created to help Rasmus Lerdorf maintain his homepage. The language has turned into the most popular web scripting language in the world. The content management system WordPress, the cloud-based collaboration tool Slack, or the social media website Tumblr all rely on PHP. Who also relies on PHP is approximately 82.6 percent of world’s websites. While PHP isn’t the most beautiful nor the most cohesive language out there. But it’s a safe bet for anyone who would like to get into web development. Created by Microsoft, C# is a modern programming language that continues to evolve and improve with time. Developers use C# to write apps for the Windows operating system. Also, it’s one of a few programming languages supported by the incredibly popular game engine Unity. C# is fully open-source, and Microsoft has even released an open-source C# compiler, called Mono. Most operating systems, including Android, Linux, BSD, Mac OS X, and Solaris, can run Mono with no issues. C# programmers can enjoy access to all the .NET Framework class libraries. They include a comprehensive collection of reusable components. The language was created by Bjarne Stroustrup, a Danish computer scientist, with the original name “C with Classes”. In 1979, Stroustrup came up with the idea to create a language that would combine the features found in the Simula programming language with the performance of C. The language quickly took off. It’s now used by most popular software projects: Windows, Chrome, all major applications of Adobe, etc. Its advantages over C and other most popular programming languages 2016 and 2017 include portability, exception handling, function overloading, a rich function library, efficiency, and speed. The C programming language was created to redesign the UNIX operating system for use on multiple computers. When judged by programming language popularity, C has been one of the most stable languages ever created. C provides low-level access to memory and requires minimal run-time support. Many critical components of modern operating systems are written in C as is the whole Linux operating system. Even though most programmers understand C to some degree, only a minority use it on a regular basis. Objective-C used to be the main language used by Apple for the OS X and iOS operating systems until it was superseded by Swift. Some experts predicted that the usage of Objective-C would quickly dwindle after the introduction of Swift. But he language is still doing surprisingly strong, earning its place on our list of top programming languages 2017. Even though newcomers to OS X and iOS software development should learn Swift, Objective-C still shines whenever developers need to interact with old C/C++ libraries. R was established in 1993 for statistical computing and graphics. Now it’s an open-source programming language and software environment widely used for data mining, analytics, machine learning, and scholarly purposes. It Several vendors produce graphical front-ends that allow users to create sophisticated data models with greater ease. Among these are RKWard, R Commander, and RStudio. Considering the rapid growth of artificial intelligence and related fields, we expect R to dramatically gain on popularity in the years to come. Just like R was one of the emerging top programming languages 2016, it’s no surprise to see it hold to its position even in 2017. Apple created Swift in 2014 to be more resilient to erroneous code and more concise than Objective-C. With Swift, the company introduced the term “protocol-oriented programming” as an attempt to fight the inherent object-oriented programming problems. Even though Objective-C still shines in certain situations, the market is clearly moving toward Swift. The mobile market is still booming. The understanding of Swift can open doors to many exciting opportunities. Stay tuned for most in demand programming languages (2018)! Due to the rapid growth of languages, the next year’s rating might look much different.